Tokenpay is attempting to establish itself as a ‘Bitcoin on Steroids’, based on some of the code from the Bitcoin blockchain, but with faster block confirmation, greater security, and a Proof of Stake consensus mechanism. The idea of TokenPay is to try and create a cryptocurrency that bridges the gap with consumer purchases. 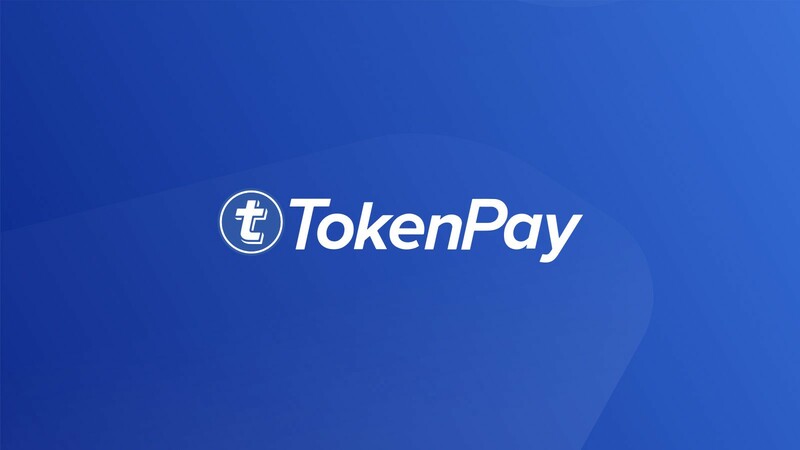 Bitcoin is slow and can be expensive for small transactions, but TokenPay attempts to make it easier, cheaper and faster for consumers to purchase products with crypto. TokenPay has additionally acquired a proportion of a German bank in order to warm relations in the banking sector and issue cards in a traditional fashion, but with crypto funds. The Zero-Knowledge Proof means that transactions are not traceable to specific keys as they are jumbled up as the transactions are processed. This is similar to the security features on other privacy coins such as Monero and if you want to check out the technology behind these security measures, be sure to take a look at the TokenPay whitepaper. One key difference between TokenPay and Bitcoin is the process by which the blocks in the blockchain are validated. The proof of work system used in the Bitcoin protocol requires miners to solve problems using computing power, where any actor that attempts to double spend or carry out a hostile attack is prevented from doing this by the consensus of the other miners. The proof of stake system used in Tokenpay requires holders of the token to ‘stake’ it in an open wallet. Any funds that are staked and used for a hostile attack are then lost, while funds that are staked and used to confirm a block are rewarded with approximately a 5% annual return on their stake. The 5% return is if all the tokens in the network are staked, at current levels the ROI is closer to 13%. There are some distinct benefits of both systems of block validation, but the main advantage of PoS is that it is much more energy efficient as miners aren’t required to use energy to power computers. PoW, particularly in the Bitcoin network, has the benefit of the network effect as the number of miners means the network is particularly secure and can only be manipulated with over 51% of the computational power. One very unique aspect of the TokenPay business model is the acquisition of around 10% of German bank WEG Bank AG, with the option to increase this to majority shareholder with 80%+ if agreed with all parties involved. This is in partnership with the Litecoin foundation, who currently hold the shares in the German lender. The strategy behind this move was to market their own physical debit cards that would allow consumers to spend crypto as easily as they would do with a fiat debit card. The date that these cards will be released is yet to be announced. Hopefully, this move will help to improve the relationship and understanding between the banking sector and crypto companies. TokenPay’s links with Litecoin and Verge show that this is a promising project with support in the crypto world. Its acquisition of a proportion of WEG Bank is interesting but has yet to show any real ground-breaking impact on the success of the company and it’s unclear whether it will do so. The privacy features are positive for those people who value anonymous transactions. The proof of stake block validation needs to prove itself as a real contender against proof of work. In terms of its vision to be a ‘Bitcoin on Steroids’ and test Bitcoin’s superiority, it’s a long way off. The network effect is essential to the long term success of this vision and so far TokenPay has not demonstrated that it is significantly better than Bitcoin to the extent that it can challenge it’s position as number 1 crypto, particularly if the Bitcoin lightning network goes to plan. Crypto explained in 500 word articles.